This is part of the planned Wellesley – Harbord corridor, which should be finished next year. Ultimately, the buffer zone will separate cycle from automobile traffic by flexible plastic bollards to prevent cars from interfering with cyclists. 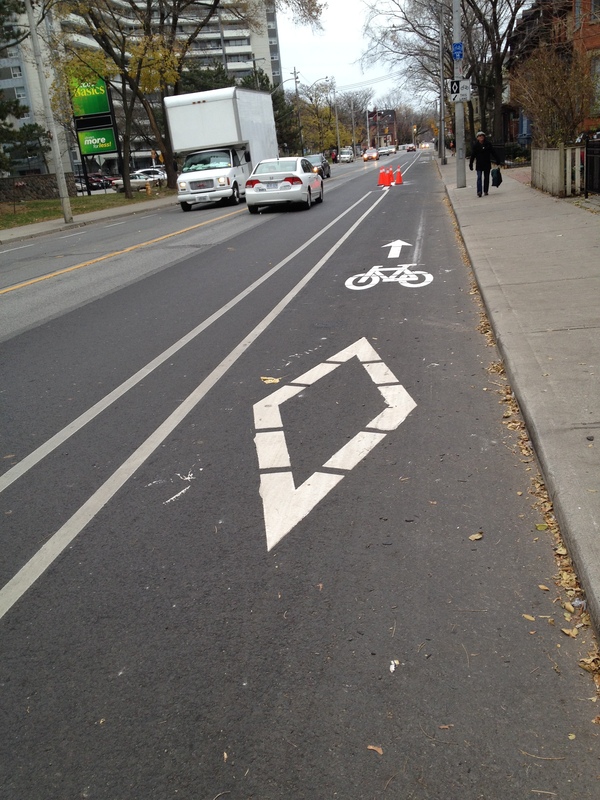 This entry was posted on Friday, November 22nd, 2013 at 12:58 pm	and tagged with protected bike lanes, wellesley harbord corridor and posted in Uncategorized. You can follow any responses to this entry through the RSS 2.0 feed.